‘One evening a group of men turned up,’ Laurence explained. ‘Their faces were masked and they had sharp knives. They cut me,’ he said pointing to the scars on his head. After being stabbed in the face Laurence managed to get away as blood gushed from his cheek. 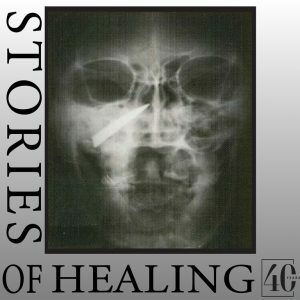 He found a doctor to stitch the hole in his face, but decades of discomfort and pain resulted as his face would periodically swell up. 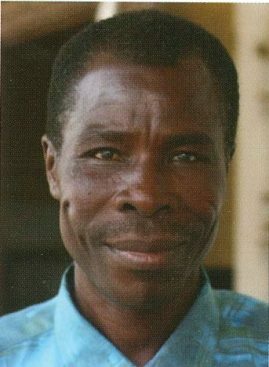 ‘Stinking water would come from my mouth; the taste was horrible,’ he concluded. 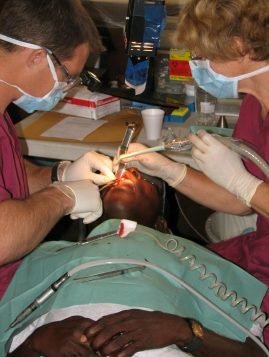 When Laurence heard the Anastasis was back in port in Ghana, he went along to the clinic to take care of his dental problem. Kiwi volunteer Sharon remembers the day clearly. ‘We smelled the discharge from his jaw before we saw him,’ she recalls. 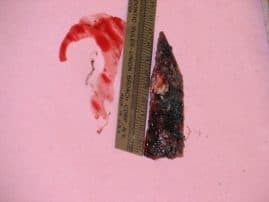 ‘The dentist found an infection draining through a small hole next to one of Laurence’s teeth, but his teeth were fine. 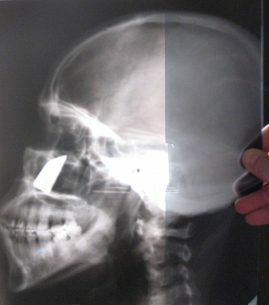 When the dentist explained this to Laurence, he told the story of his stabbing. 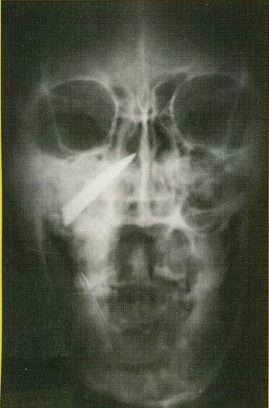 An X-ray onboard the Mercy Ship clearly showed a foreign object embedded in Laurence’s face – five centimetres of the knife blade that he was attacked with almost 20 years earlier!